I found this vase, and curious what these markings say on the bottom. Your help would be appreciated. I really don't know if the vase is from China or Japan. 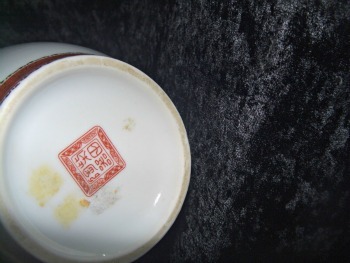 There are Chinese vases with Japanese marks, and there are Japanese vases with Chinese marks. A single picture with a mark can tell only about the mark, not the item.